That's quite a hefty list of changes right there. During the course of writing this, my Gear S3 Classic was slogging through the file transfer process, which is quite slow. So I can't speak to how well any of the improvements and new features work, but the people over on Reddit seem to like it so far. As long as it fixes the phantom battery drain I've had for the last few months, I'll be happy. Frankly, I'm surprised it took this long to get a proper theater mode, but better late than never, I guess. Not sure why we need a sleep mode when you can set Do Not Disturb on a schedule, but to each his own. 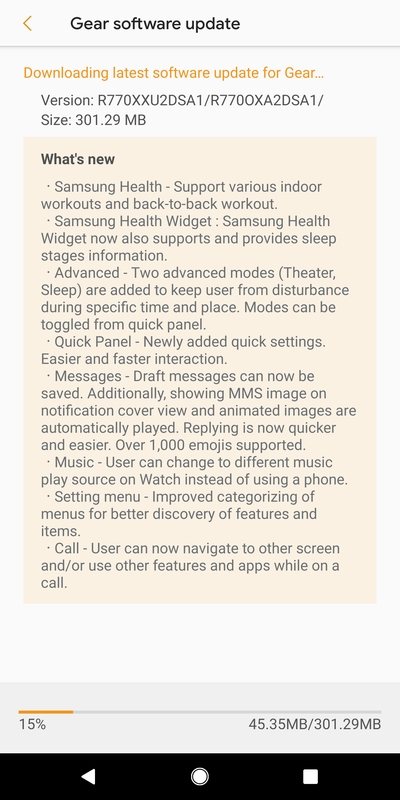 If you take a gander through the Gear S3 subreddit thread discussing the update, it seems that animations are smoother and quicker, plus the SmartThings widget might actually work now (finally). Some are saying that battery life appears to be improved, too. The update was ready to go when I checked for it manually in the Galaxy Wearable app. It takes quite a while to transfer over to your watch, so just set it and forget it. I'm quite excited for mine to finish up, that's for sure. As some of you in the comments pointed out, this update is also rolling out for the Gear Sport. Dubbed the Value Pack Update, Samsung has confirmed it is the same for both watches. I've updated the original article with a source link to the announcement post, so just look below this box to find it. 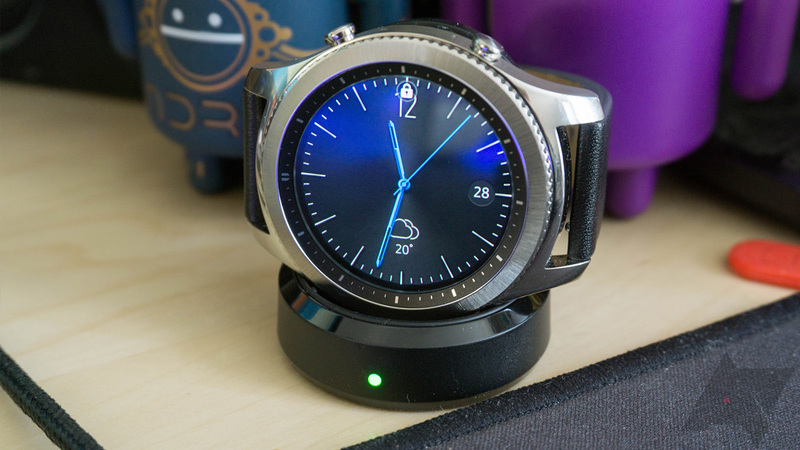 And did anyone else notice the new Galaxy Wearable app? It looks a lot nicer.